Spike Lee isn't wasting any time in getting his follow up to last year's hit BlacKkKlansman off the ground. 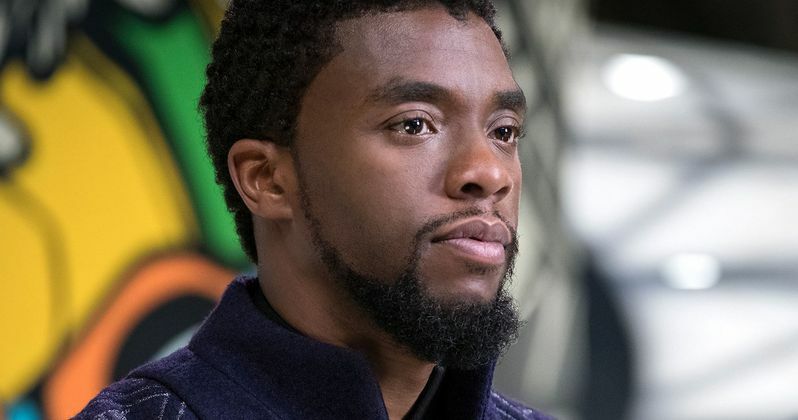 The iconic director has set his next project, Da 5 Bloods at Netflix, with Black Panther star Chadwick Boseman set to topline the cast. This is another huge win for the streaming service, as they've increasingly shown their ability to court top talent away from major studios. According to a new report, Da 5 Bloods was shopped around to major studios, with Spike Lee taking his time in finding the right suitor. However, once BlacKkKlansman landed six Oscar nominations, including one for Best Picture, Netflix emerged as the frontrunner and aggressively pursued the project. Netflix just scored their first ever Best Picture nomination with Alfonso Cuaron's Roma this year and, without a doubt, they would like to keep that hot streak going in the years to come. Lee had this to say in a brief statement about the project. "To quote my brother Jay-Z from Da People's Republic of Brooklyn 'On to Da Next One.'" Not a lot has been revealed, but the movie will center on Vietnam veterans who return to the jungle to find their lost innocence. In addition to Chadwick Boseman, the cast will also include Delroy Lindo and Jean Reno. Lindo has worked with Spike Lee several times in the past, including on projects such as Clockers, Crooklyn and Malcolm X. For Boseman, this keeps his solid streak going following last year's Black Panther, which grossed $1.3 billion at the global box office and helped turn him into a certified, global star. He will next be seen in the thriller 17 Bridges this summer. For Spike Lee, this also continues his streak. The filmmaker behind Do the Right Thing and She's Gotta Have It has always worked consistently, but his movies over the last handful of years hadn't been gaining all that much attention. But BlacKkKlansman put him back on the map in a very meaningful way, with the movie finding near universal praise from critics on its way to $48 million at the domestic box office, his best since 2006's Inside Man. Netflix can provide him with an even wider, captive audience for this next project. And Netflix has very deep pockets, meaning they can provide him with the resources needed to make it without compromise. Once Spike Lee finishes up his Oscar campaign for BlacKkKlansman, it's expected that he will turn his full attention toward Da 5 Bloods, which could begin filming as early as next month. The script was originally penned by Danny Bilson and Paul DeMeo, with a rewrite by Matthew Billingsley. Lee will also be doing his own rewrite alongside Kevin Willmott. With production possibly getting underway so soon, we should be hearing more in regards to casting sooner rather than later. This news was first reported by Variety.